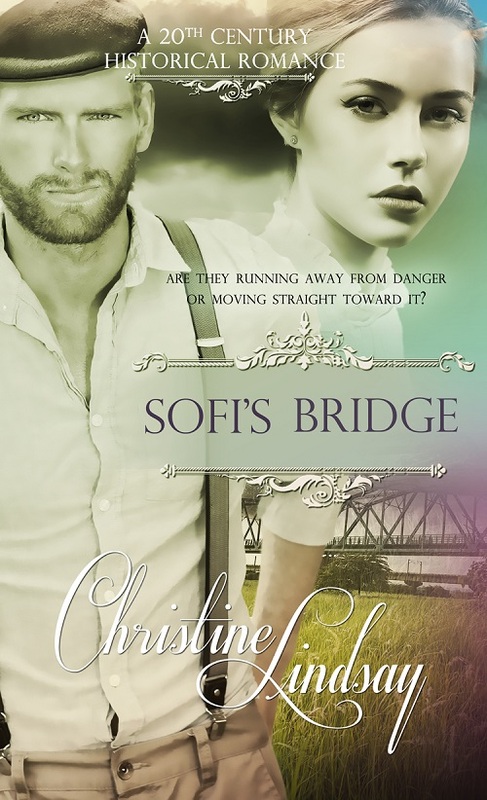 See below for Giveaway instructions to win an Ebook version of Christine Lindsay's new release Sofi's Bridge. In this century we’ve come to respect the power of wind. It really can blow a steel bridge down and crumple it like tinfoil. I researched a number of train disasters for Sofi’s Bridge, but the Tay Bridge tragedy in Dundee Scotland, 1879 was due to the lack of attention the builders had when it came to the power of wind against the flat sides of train cars. The bridge designed by noted Sir Thomas Bouch seemed to have all that was required at the time; lattice girders, cast iron columns, and wrought iron cross bracings. The cast iron used was as fine a quality and strength as was used to build the Crystal Palace in England. The design had been used previously and successfully on the Crumlin Viaduct in South Wales. 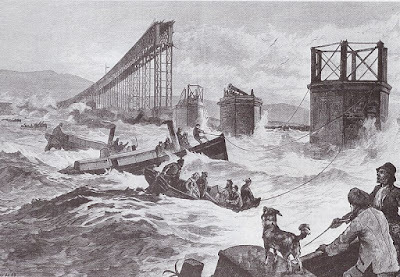 According to the designer’s math the bridge should have been able to withstand the gale that night as the train traversed the Firth of Fourth, a deep watery span of 2.75 miles. But on the evening of the storm no one had a clue they were facing a disaster when a train of 6 cars carrying 75 lives would be utterly lost. 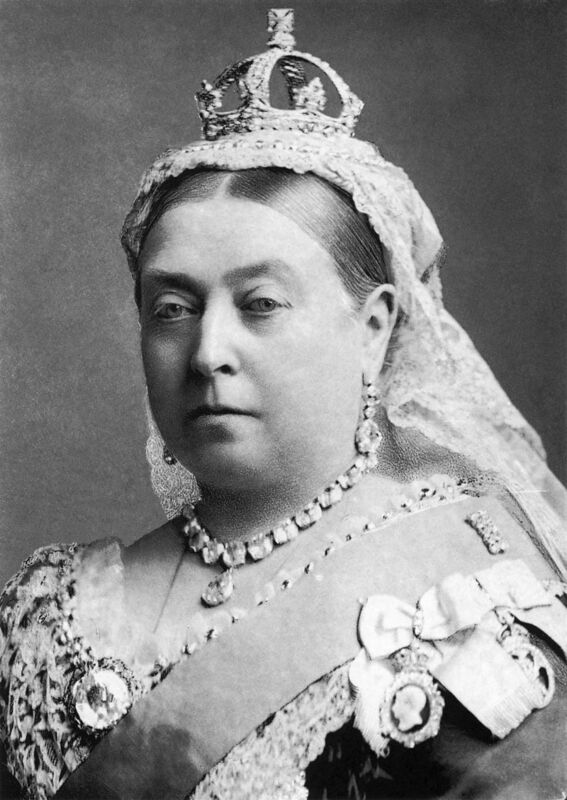 All seemed well when the bridge first opened in 1878, and a year later on June 20, 1879, when Queen Victoria crossed the bridge to return home to London after her holidays at Balmoral Castle. 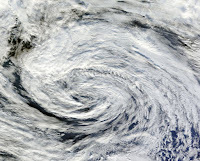 Only 6 months later the storm hit on December 28 with winds of 75 mph, gusting to 80 mph, blew directly at right angles with the bridge. At 7:13 the train slowed to enter the bridge and then built up speed to cross the almost 3 mile span of water. The signalman at the far-off bridge abutment saw the train about 200 yards onto the bridge and then noticed sparks from the wheels for about 3 minutes. hear the train, he saw a bright flash of light. And then total darkness. All communication with the train was suddenly snuffed out. It happened so quickly the signal man could not believe reports from the other side of the bridge that the train had not arrived. The train had indeed sank in the deep waters of the Firth of Fourth. Divers later discovered the train was still encased within the steel girders. The wind, plus the train, pulled the bridge down. The bridge with the missing spans in the middle. Later investigations discovered a number of issues, overall the structure had been built too cheaply with too light materials for the job. But the greatest element that the designer had not considered was the extra weight of wind-loading. The bridge had been designed against a wind loading of 20 pounds per square foot (psf), the usual margin of safety for this time. However, the extra wind loading of the December 1879 storm was more like 40 psf. In my research for Sofi’s Bridge set in 1910, I learned the following and set it into this scene as Sofi talks to the townspeople of the fictional town of Orchard that their new bridge as it stands will collapse during the first bad storm they have. A councilman set up the easel, and Mayor Frank smiled as he passed a piece of chalk to Sofi. Taking a deep breath, she swept her arm and drew a strong, fluid arc across the board. Quickly sketching in the steep cliff sides, she added the triangular shapes of trusses, and the bridge came to life. With short jabs of chalk, she marked crisscrosses at various sections. “Here, gentlemen, is where the steel is too thin. This will escalate stress in these thinner sections.” She wrote a series of formulas on the side of the board and underscored them. “How strong were the winds today?” One of the railroad dignitaries asked. “Forty miles per hour,” another man volunteered. As a writer, I admit I love train disasters, and this is not the first train tragedy I've written about. I started Veiled at Midnight off with a derailment. To enter the Ebook Giveaway for Sofi's Bridge leave a blog comment below. To enter your name more often, comment that you have shared this post on social media. I will draw the winning name the Sunday following this post. 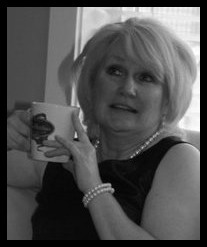 Christine Lindsay is the author of multi-award-winning Christian fiction. Tales of her Irish ancestors who served in the British Cavalry in Colonial India inspired her multi-award-winning series Twilight of the British Raj, Book 1 Shadowed in Silk, Book 2 Captured by Moonlight, and explosive finale Veiled at Midnight. contemporary romance Londonderry Dreaming and newest release Sofi’s Bridge. A busy writer and speaker, Christine, and her husband live on the west coast of Canada. Coming August 2016 is the release of her non-fiction book Finding Sarah—Finding Me: A Birthmother’s Story. Thank you for this most interesting post and giveaway. I would love to read Sofi's Bridge. Thanks Melanie, don't forget to leave your email address spelled out so that if you win, I can contact you. Wonderful, Bettie, but don't forget to leave your email address spelled out. If you do win, I will of course try to find you on FB and Twitter. Thank you Caryl, I know we are FB friends, so if you win, I'll know how to contact you. Hugs and blessings. Thank you for the giveaway and the above post. Thanks for dropping by Ann. Very interesting post, and scary too! You'd think the train engineer would wait out the storm instead of going across that thin-looking bridge, but I guess his passengers wanted to get home. Yeah, I hear you Donna. Scary indeed. The bridge was extremely long too. Quite an expanse of water. Interesting post thanks for posting it. cheetahthecat1986ATgmailDOTcom. Hi Kim, glad you liked it. Hope you get to read Sofi's Bridge soon. Christine, way to go! And you know how to whet readers' appetites - this is such a well-written article. Excited for your release. Wow, how tragic that must have been, watching it collapse! Sounds like a very interesting book. We live near the Tacoma Narrows bridge and have heard the tale of Galloping Girdy. Thanks for doing a giveaway. Hi Karen, I did some research on the Tacoma Bridge for this book, especially since the story is set in Washington State. I've been across the Tacoma Bridge a number of times. HOpe you get a chance to read Sofi's Bridge soon.